The New Thought Movement was an enormously popular late nineteenth-century spiritual movement led largely by and for women. Mary Baker Eddy's Christian Science is but one example of the fascinating range of these groups, which advocated a belief in mind over matter and espoused women's spiritual ability to purify the world. 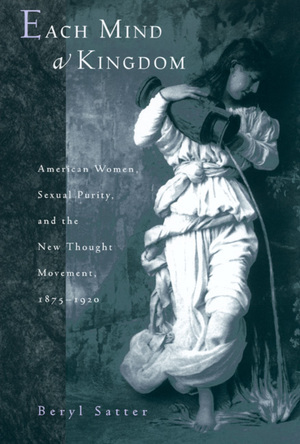 This work is the first to uncover the cultural implications of New Thought, embedding it in the intellectual traditions of nineteenth-century America, and illuminating its connections with the self-help and New Age enthusiasms of our own fin-de-siècle. Beryl Satter examines New Thought in all its complexity, presenting along the way a captivating cast of characters. In lively and accessible prose, she introduces the people, the institutions, the texts, and the ideas that comprised the New Thought movement. This fascinating social and intellectual history explores the complex relationships among social reform, alternative religion, medicine, and psychology which persist to this day. Beryl Satter is Associate Professor of History at Rutgers University, Newark, New Jersey.